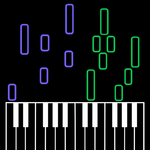 ﻿BobGmbH is a very active (and popular) YouTube user, famous for his "IMPOSSIBLE REMIX" piano videos played on Synthesia, with tracks featuring full ranges of notes you'd not be able to play live on a real piano with only 10 fingers, hence the name. BobGmbH started using Arachno SoundFont on his videos in November 2013, when he released his very popular rendition of "He's a Pirate" from the "Pirates of the Caribbean" movie. Ray Parker Jr. - GHOSTBUSTERS THEME !! Paul K. Joyce - BOB THE BUILDER THEME !! Vangelis - Chariots of Fire THEME SONG !! Thomas The Tank Engine & Friends - THOMAS THE TANK ENGINE SONG !! Andrew McCrorie-Shand, Andrew Davenport - TELETUBBIES SONG ! !